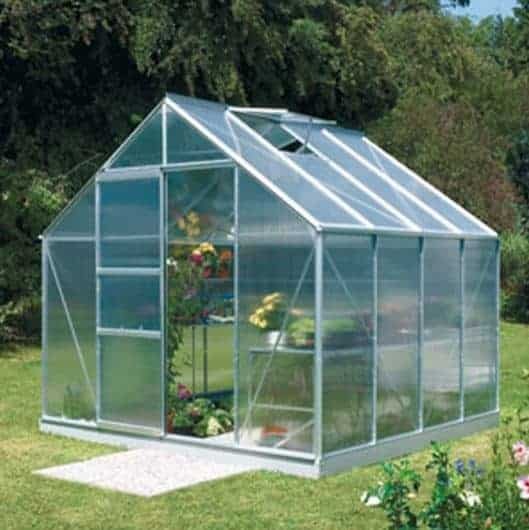 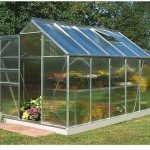 This 8 x 8 greenhouse is a traditional looking greenhouse with high eaves and a high apex roof. 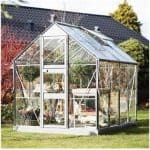 These two features ensure that you have a large amount of head height in the building. 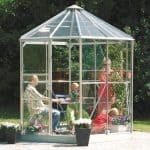 This makes a big difference if you have large plants that you want to cultivate. 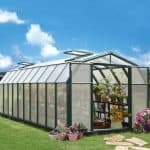 Some other good features include the fact that you have two-roof vents that allow you to control the climate inside the greenhouse by yourself. 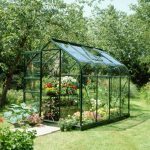 This s a fantastic way to ensure your plants get the care they need. 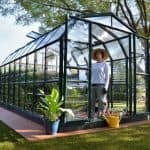 On the roof and the sides of the greenhouse there is extra bracing, so you have a greenhouse that can stand up to all kinds of wear and tear, as well as strong winds.